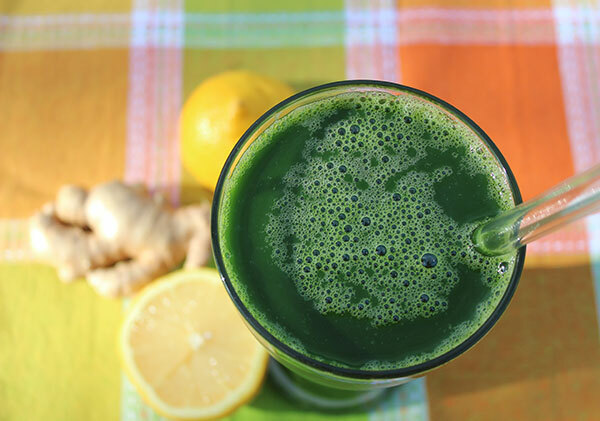 This is our green juice blast recipe, a slightly altered version of the famous "lemon ginger blast", invented and made popular by holistic health educator and juicing guru Lou Corona. 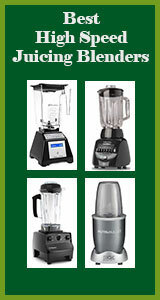 It is a juicing recipe for, as the name implies, "blasting" through any congestion or mucus build-up. It is one of the top recommended juices to consume when fighting off a cold or the flu, offering an immediate influx of nutrients delivered by some really powerful spicy liquids. 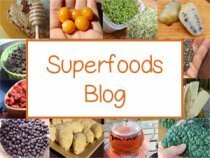 In fact, we often refer to this drink as a natural alternative to getting a "flu shot" as it offers a much healthier approach to boosting the immune system when you require one. 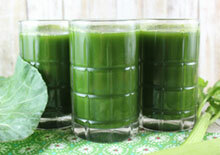 You don't, however, need to be on the verge of sickness to enjoy this green drink. The ginger root and habanero pepper are very effective in opening up the capillaries, clearing the lungs and improving circulation, making it an energizing juice for athletes, body builders or exercise workouts. This super juice goes right to your senses. At first sip, it might feel a bit overpowering, but becomes much easier to swallow after that initial gulp. It is a good idea to drink it slowly however, rather than in one or two shots. 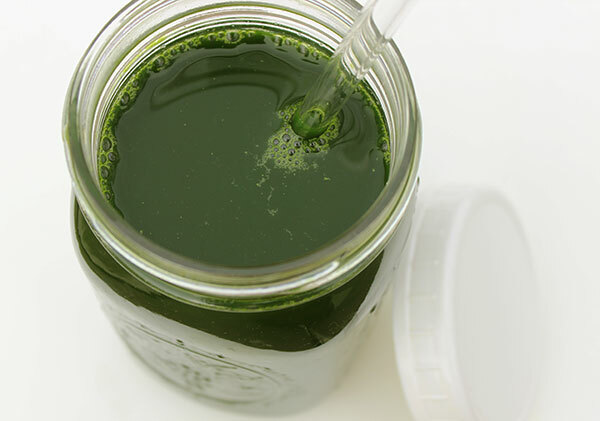 It is one of our all-time favorite green juicing recipes to make in the cold winter months to help move the blood and stimulate the immune functions. The lemon ginger blast helps to immediately warm the body and definitely gives the term "breath of fire" new meaning. It is an overall detoxifying juice blend, containing both the cleansing effects of lemon, turmeric as well as chlorophyll. Green leafy vegetables, like arugula, parsley and cilantro, are additionally useful for removing toxins from the blood and work to alkalize the body pH. It is also a very helpful drink to make for eliminating parasites and will assist in moving the bowels when constipated. 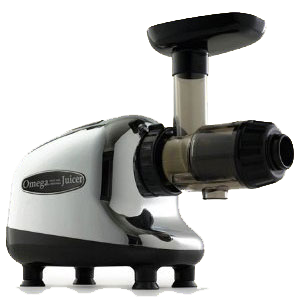 You will taste almost every ingredient used in the juice at some point. The recipe can be altered, of course, depending on your health goals or taste preferences. Adding more apples improves the flavor somewhat, but makes it less appropriate for those with candida or parasites. You may at some point want to add in some wild edible greens, when you have them available. 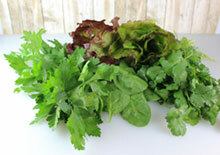 Wild watercress makes a great substitute for arugula and miners lettuce can easily replace the parsley used. 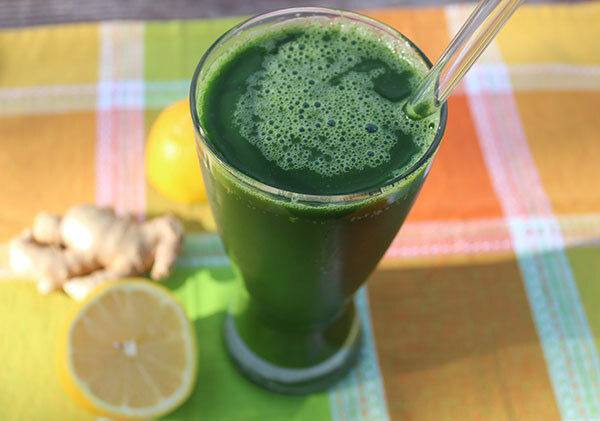 The lemon ginger blast recipe is a great juice option for those on a short one day juice fast or is also appropriate for extended juice fasting regimens. For those juicing for weight loss, it is very beneficial as a morning beverage to help clear stagnation and increase circulation. 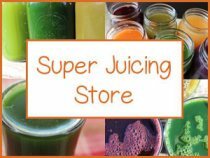 As we mentioned, this detoxifying juice blend is one originally inspired by Lou Corona, who at 21 years of age suffered intense debilitating health issues that nearly cost him his life. Our green juice blast recipe is a nice balance of cooling vegetables, like cucumber, parsley, cilantro and celery, which helps to eliminate stomach upset from the heat promoting ginger or habanero. 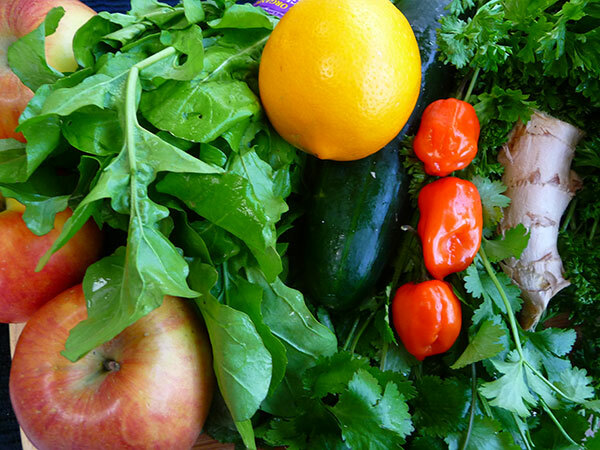 However, if you are a pitta body type or have an aversion to spicy foods, you make want to try other juice recipes. The original lemon ginger blast includes fresh mint, but we enjoy using arugula instead. We also add in one more cucumber to the mix as opposed to adding water as in the standard Lou Corona recipe. 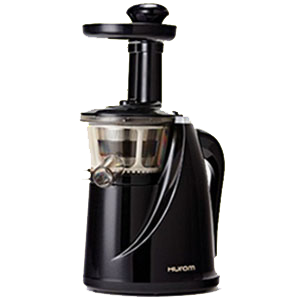 This list of ingredients are not in exact measurements which may give you a bit of a different juice every time, as bunches of greens and sizes of vegetables can vary considerably. This makes it a subtly unique taste experience every time, but still offers pretty much the same health benefits. Juice the above ingredients in a juicing device. 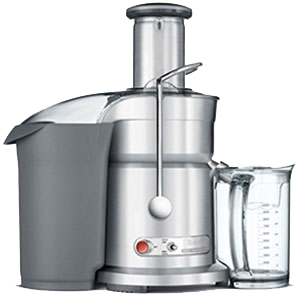 The Green Star juicer, or other slow juicers, work very well for getting the most liquid and nutrient content out of your leafy greens. 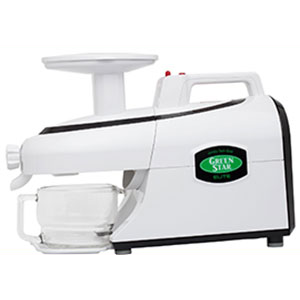 You can also use a blender by chopping up your ingredients, adding water if needed to blend into a purée, and then strain the pulp through a nut milk bag to separate your juicing liquid. It is best to drink your juice immediately for highest health benefits, but you can also preserve it in a tightly sealed mason jar for a few hours in the fridge if it's more convenient. This green juice blast recipe makes approximately 2 quarts of juice, so you can drink it in two sessions or find a friend to share it with!